Cloudy skies. Low 49F. Winds W at 5 to 10 mph. REPUBLIC  A local man will be arraigned at 10 a.m. Friday in Ferry County Superior Court on charges of first-degree attempted murder and first-degree arson. Richard William Green, 67, is being held in the Ferry County Jail on $50,000 bail until the hearing. Green turned himself in Aug. 30, Ferry County Sheriff’s Detective Patrick Rainer said. 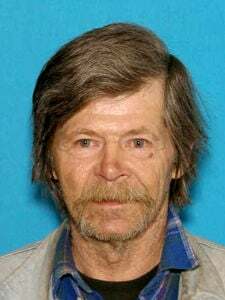 The Sheriff’s Office, along with other local, state and federal law enforcement, sought Green as a person of interest after Andre Paul Becklin, 63, was shot in the face. Later last week, the Sheriff’s Office upgraded Green to a suspect. Sheriff’s deputies were called to Bacon Creek Drive at about 1:03 p.m. Aug. 20, where they found Becklin, who had been shot with a shotgun. At 1:15 p.m., they were called to a house fire at 75 Rose Haven Circle. Becklin was being treated at Providence Sacred Heart Medical Center in Spokane when Rainer last checked on him earlier in the week. “He’s doing OK,” Rainer said. A spokeswoman at Sacred Heart told The Chronicle on Friday that the hospital had no patient with Becklin’s name. “The only thing left was the foundation” and a small outbuilding, which took some damage, he said. The house was vacant, but Rainer said the homeowners, Elaina and Shawn Strom, were notified and had insurance. Rainer said he couldn’t provide more details about what happened. “There’s still some stuff we need to investigate,” he said. Sheriff’s Office investigators were assisted by the Republic Police Department, United States Border Patrol, Washington State Patrol, U.S. Marshals Service, Okanogan County Sheriff’s Office and the Spokane Valley Fire Department.